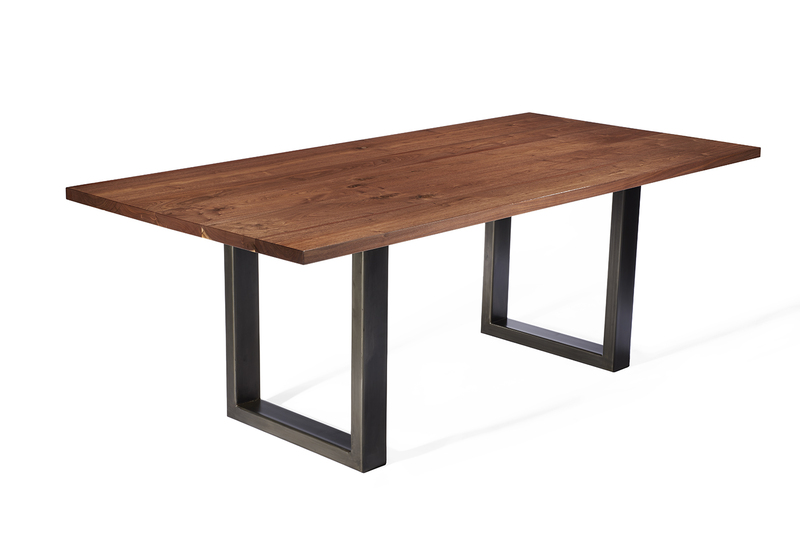 Constructed from locally sourced black walnut and 2×4 tube steel. 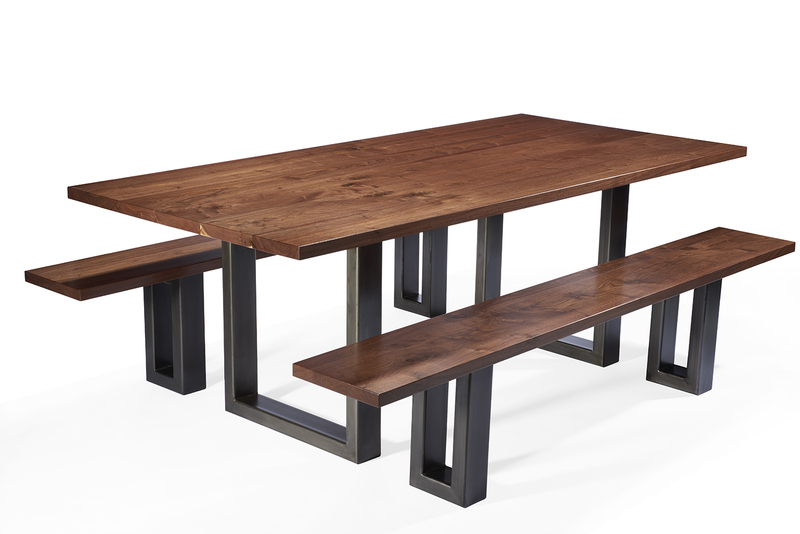 Top is finished in satin lacquer and the bases are finished with black patina coated in satin lacquer. Customizable for any size or specie of wood.